You can projest laser line freely even at the place where you cannot mark lines. 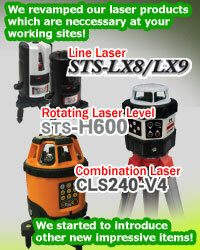 ■Fix the place of operation with emitting laser line. ■Very convenient to use at the place where marking is impossible. 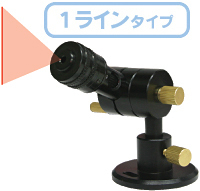 ■Focus adjustment is available so that it can project laser line very sharply meeting with distance of emission. 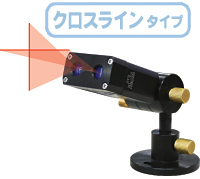 ■Using the table, the direction of emission can be freely adjusted.